"Raising a 15 year old boy and keeping him active in positive, healthy endeavors, is a challenge for any parent. Rob Hansen has taken some of that challenge off our shoulders through his efforts to begin and grow the Bingham High Mountain Biking Club. Rob has literally coached our son, Caleb, in every step of the process to becoming a mountain biking lover. From the helmet on his head, to the bike he clings to in those harrowing downhill stints, to the confidence to go head-to-head with a pack of anxious racers, Rob has given his all to helping Caleb, and all of the team members, be successful. A year ago our son took a tumble off his road bike while riding with a group of scouts on their 50 mile merit badge trip. He only made it half way and came home with a broken arm, no merit badge, and a deep seeded fear of riding a bike in packs. 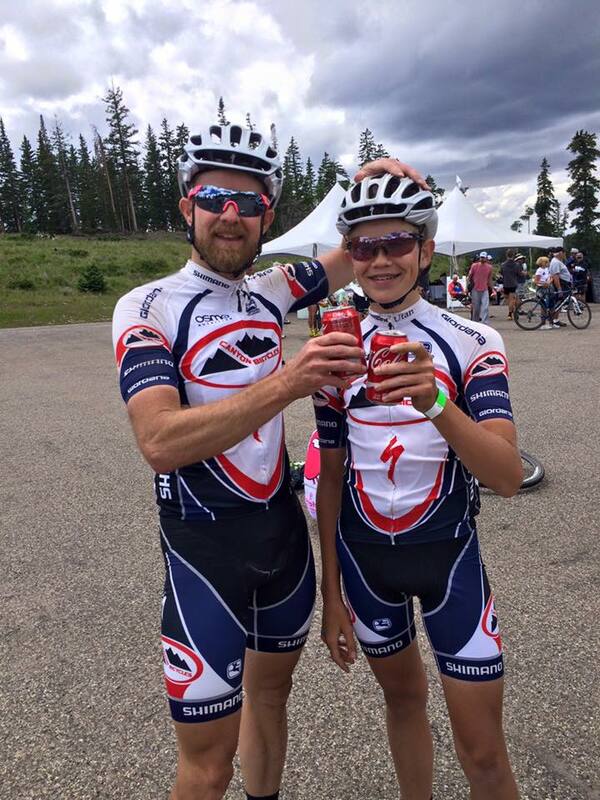 With consistent encouragement, slow but steady practices, and perhaps even a little friendly harassment, Rob got our son back on a bike and willing to at least try mountain bike racing. His focus on building our son's confidence never waivered, even when Caleb chose not to attempt the first race. Rob just kept on working with him and keeping him growing stronger both physically and mentally. The real above and beyond, that probably meant the most to us as parents, was when Rob declared to Caleb that he was going to finish that 50 mile bike ride. He didn't have to do it. It wasn't really his responsibility. But Rob spent 6 hours after school one day, and into the night, to ensure that those 50 miles were completed. That meant the world to us and our son. Caleb ended the mountain biking race season in 16th place, not bad for a freshman mountain biking novice. But most importantly he ended the season with confidence and determination that he will come back next year stronger and faster, and ready to take things to the next level. We will forever be grateful for Rob's time, effort, coaching, and love. He deserves to be recognized for his commitment to making mountain bikers out of scrawny kids looking for a place to fit into this world. Thanks Rob"
"When the Bingham High Mountain Biking Club was formed in 2012 by Rob Hansen, six members joined. This fall, the squad had 65 riders as well as 20 more on the Devo (Development) Team." Click here for full story.